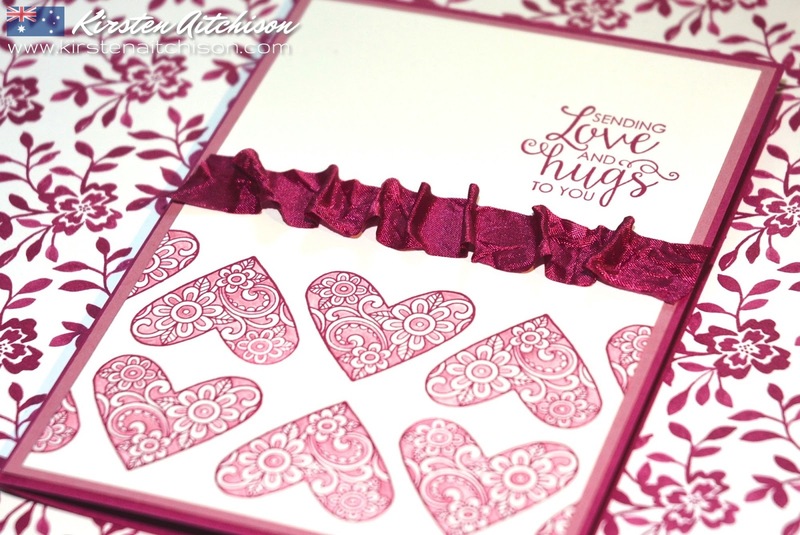 We are hopping with a special guest - The very creative Wendy Lee from the United States. The theme of this blog hop was to CASE (Copy And Selectively Edit) one of Wendy's cards. 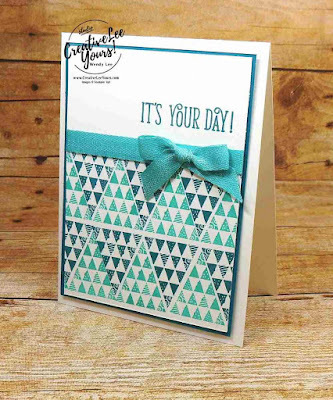 To checkout Wendy's card in more detail click here. 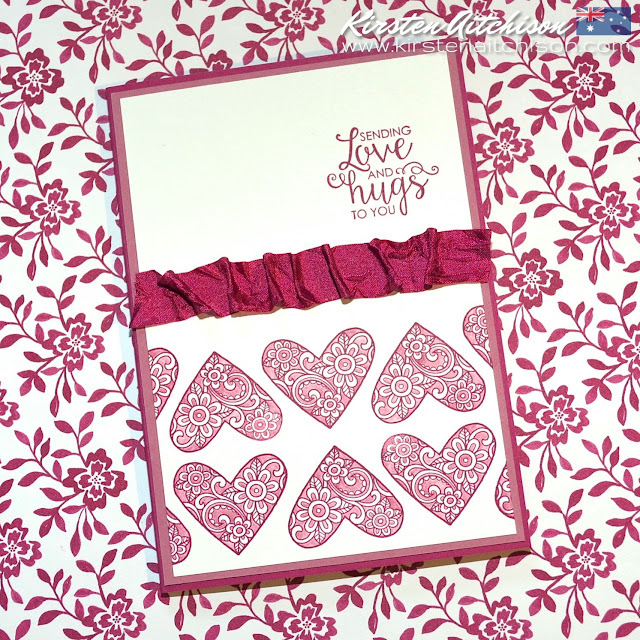 I really liked Wendy's card layout, so I've used a similar layout using the Ribbon of Courage stamp set and a colour palette of Berry Burst and Sweet Sugarplum. These 2 colours work really well together. My sentiment and the floral hearts are stamped in Berry Burst ink and I have coloured parts of each heart using Sweet Sugarplum ink and a blender pen. 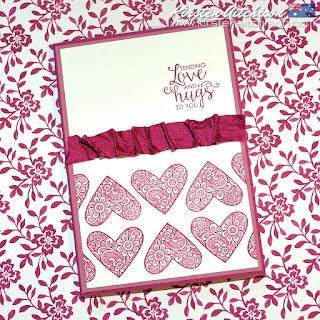 Rather than tie a bow in my ribbon like Wendy's card, I decided to bunch up my Berry Burst Crinkled Seam Binding ribbon across my card instead. I really like the effect and I think it suits the card theme nicely. Thanks so much Jessie :) Yes it did take a little while to colour in, but it was fun. Awesome use of this stamp set Kirsten! 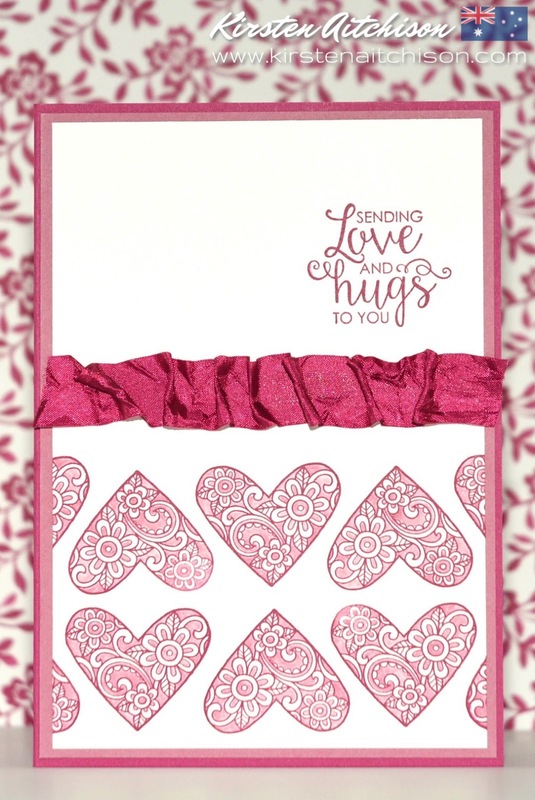 Love the ribbon too! 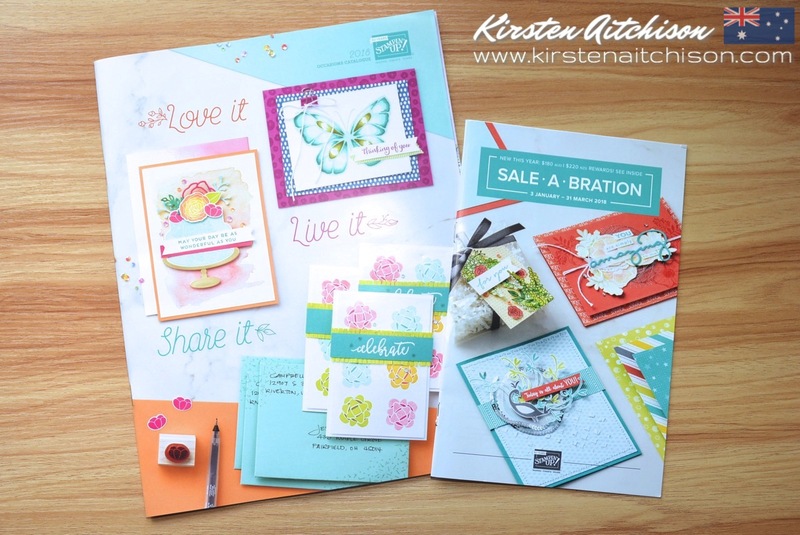 Very pretty Kirsten - love that colour! Lovely Kirsten. I really like what you did with your ribbon. That ribbon is amazing. Gorgeous!